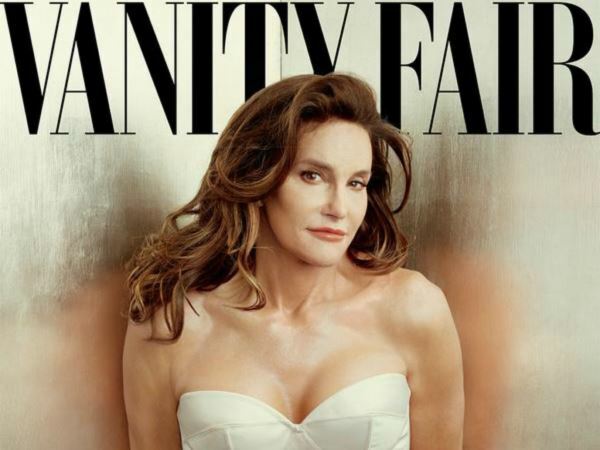 Caitlyn Jenner “got teary” as she thanked everyone on her Vanity Fair shoot according to Buzz Bissinger. The 60-year-old is Contributing Editor at the magazine and carried out the first interview with Caitlyn since her transition from being Bruce. While exerts of their conversation have been made public ahead of the magazine’s release on June 8, Buzz has now given an insight into what went on behind the scenes. She revealed her name in the new edition of the magazine yesterday, alongside the first images of herself as a lady. PHOTO: Cover “Caitlyn was on a couch, looked like a starlet, the only thing missing was a cigarette holder -beautiful patrician face, almost Katharine Hepburn-ish -and she gave a little speech thanking people, and got teary,” he told Entertainment Tonight. Buzz also revealed how Caitlyn wasn’t the only one to get emotional on the shoot, which took place in her Malibu home. Acclaimed photographer Annie Leibovitz who took the now infamous cover shot of Caitlyn introducing herself to the world in a cream corset, also struggled to keep her feelings in check. “The mood in the room was quiet," he recalled. "There was a feeling something very powerful and awesome was going on. Annie Leibovitz has taken some of the greatest photos ever taken in the modern era, and as she's looking through the lens, she started tearing up. She told me, 'I felt I was seeing the rebirth - the making of Caitlyn, the making of a woman, the making of a soul - the making of an identity." While Buzz is thrilled to see Caitlyn come out of her shell compared to how she was when she was Bruce, he admitted to the outlet that it was a very strange situation to be in as a writer.